I have started on the next mixed media digital thing. First step of course is the drawing. I had expressed interest in a game rooster but I was a little worried about public perception, so I've settled on a Brown Leghorn type of rooster. I say "type of" because I'm really trying not to get overly hung up on STANDARDS. Really, I've had quite enough of that. 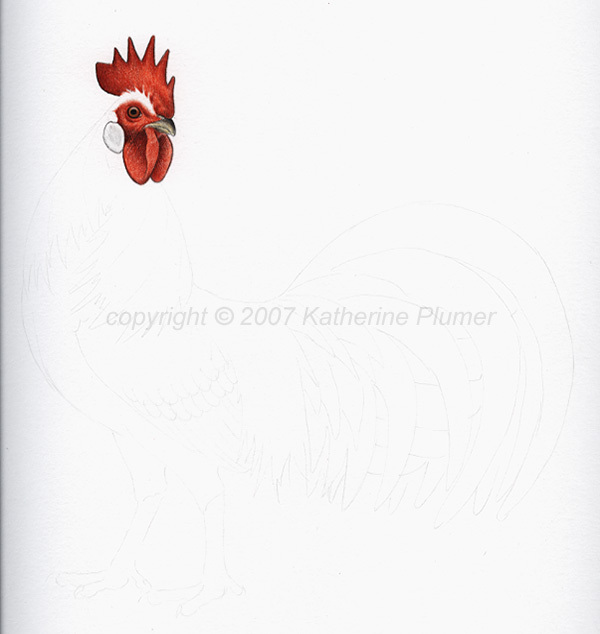 ;-) So, I want him to be something that fanciers will look at say "that's a Light Brown Leghorn" but that the general public will appreciate as "classic barnyard rooster." Didn't get too far on that today but I have a other things sketched out too (not posted).